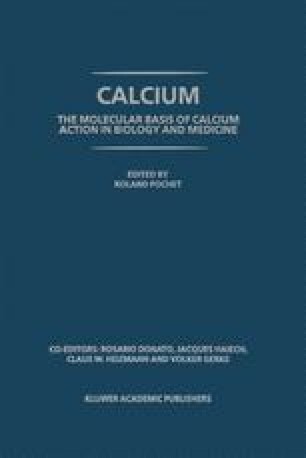 Calcium ions control a variety of cellular phenomena, including muscle contraction, adhesion, secretion, motility, growth, differentiation, gene expression, etc. Alterations in intracellular Ca2+ homeostasis are also commonly observed during apoptosis or programmed cell death by various stimuli such as glucocorticoid treatment, Interleukin-3 withdrawal, T cell receptor cross-linking, Fas/CD95 stimulation and oxidative stress (see reviews by McConkey and Orrenius, 1997, by Krebs, 1998, and references therein). The duration and extent of Ca2+ influx may determine whether cells survive, die by apoptosis or undergo necrosis. Ca2+-binding proteins are the mediators of the signals, and play pivotal roles in the above-mentioned cellular phenomena through a variety of different mechanisms.